from a regulatory point of view, micronisation is a proven, viable process that has been used for decades across a wide range of compounds and products, and is well understood by regulatory agencies. The ability of micronisation to handle smaller batch sizes — less than 5g — makes it easier to determine the feasibility and benefits of particle size reduction for new chemical entities (NCEs). The initial drug discovery phase for investigational new drugs in screening potential candidates is challenging because of the limited quantities available for analytical and performance testing. Quite often, a mortar and pestle is used for particle size reduction when screening the benefits of an NCE for in vitro testing, for cell culture studies for in vivo with animal studies. 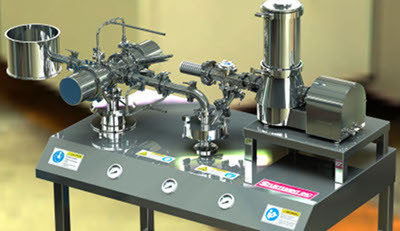 Although a mortar and pestle may be convenient and readily available, the nature of the mechanical process can generate heat, and it cannot achieve the desirable uniform particle size distribution that is possible with air jet milling. Poor oral bioavailability is one of the biggest challenges that face pharmaceutical scientists when developing dosage forms for investigational small molecule drugs. More than two thirds of the small molecules currently in the development pipeline can be classified as poorly soluble, which heightens the challenge of creating a successful dosage form. Traditional oral formulations are designed for delivery through the gastrointestinal tract and systemic effect by absorption. Both drug dissolution and permeability through the gastrointestinal tract need to be sufficiently good for it to reach the bloodstream. When the goal is bioavailability enhancement of a drug that is dissolution-rate limited, a coarse fraction, D90, below 10µm is recommended. 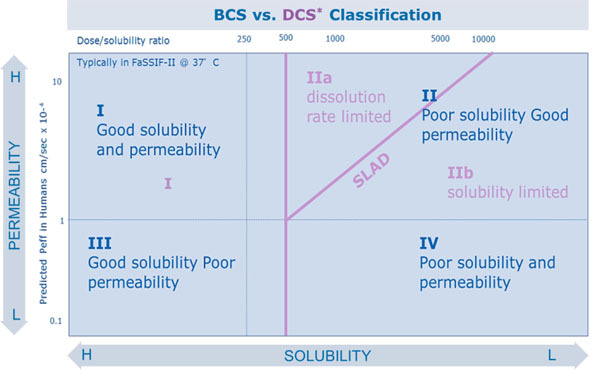 The Developability Classification System, or DCS (Figure 1), is an excellent starting point to determine what oral bioavailability issues a compound will face. There are many formulation techniques that can be used to overcome pharmacokinetic and pharmacodynamic difficulties, and ensure that the drug has sufficient solubility, absorption and permeability when delivered via the gastrointestinal tract. In an ideal world, all drugs would fall into DCS Class I, where both solubility and permeability are good, and delivery as standard tablets or powders in capsules will suffice. However, this is not common, and a significant proportion of small molecule drugs in the development pipeline are in DCS Class IIa, where permeability is good, but solubility is poor and the dissolution rate is limited. Micronisation can prove particularly effective for these drugs, and enable the production of formulations that will dissolve completely during their typical transit time through the small intestine. In contrast, traditional micronisation is unlikely to work for DCS Class IIb drugs, which, again, have poor solubility and good permeability, but are solubility limited. 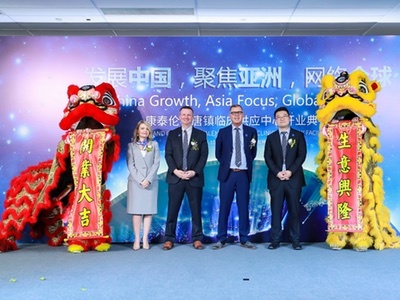 An old technology, which was found to be effective with the DCS Class IIb drug, fenofibrate, is gaining more interest in the recent years — co-micronisation. Drugs that fall close to the boundary between IIa and IIb can greatly benefit from co-micronisation with a surfactant. High yields and high drug loadings are still feasible when using co-micronisation (as with traditional micronisation). 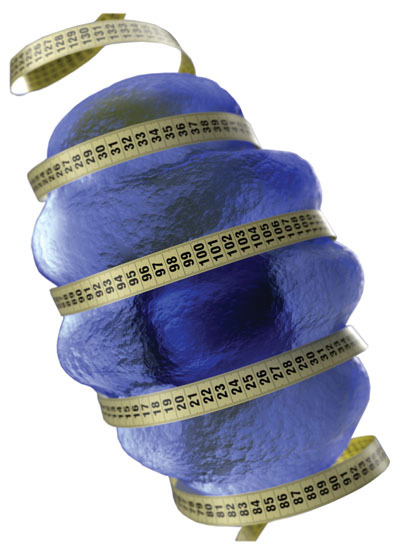 Particle size reduction can also assist in the avoidance of food effects. For many drugs, their pharmacokinetic, pharmacodynamic and bioavailability profiles can differ depending on whether the patient has eaten a meal recently or not; this is why some drugs state that they should be taken with food or taken before meals. The effect can be significant. Those drugs that fall into DCS Class IIa, with acceptable permeability but poor solubility, frequently have higher peak serum concentrations when administered in conjunction with food. 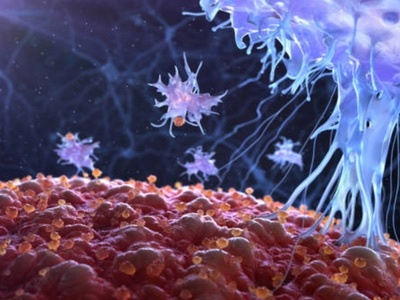 It’s possible to eliminate the food effect for these drugs by simply reducing the particle size to nanoparticles, which increases the contact area between the particles and the membranes in the gastrointestinal tract. The result is improved safety and efficacy, as well as better compliance and enhanced dose tolerance. Particle size engineering can also be used to improve the delivery profile of existing drugs, which can provide differentiation within a crowded market, or enable follow-on approvals to be achieved. As an example, Abbott’s TriCor (fenofibrate) was first launched in 2001 as a cholesterol lowering agent, but the original formulation had a significant food effect. A second generation formulation was introduced a couple of years later; this micronised product allowed a lower dose to be given, and although the food effect was lower, it was still in evidence. A year later, a third formulation incorporating nanomilled fenofibrate was marketed, and this version completely avoided the food effect. Particle size engineering is critical when developing inhaled formulations. Inhalation is the preferred route of administration for drugs to treat respiratory conditions such as asthma and chronic obstructive pulmonary disease (COPD), as it is able to target the appropriate parts of the respiratory tract and lungs where their action is required. However, precise and tight particle size distributions are necessary for any drugs that are designed to be inhaled and reach a certain part, or branch, within the respiratory tract. Typically, the range will be 2–5µm. Any larger than this, and the drug may be deposited in the throat and enter the bloodstream, rather than reaching the lungs. Any smaller than this, and the particles are very likely to be exhaled before they reach the epithelia in the airways or lungs and can have a therapeutic effect. Particle sizes in powders destined for inhalation must, therefore, be tightly controlled. Analytical expertise to assess and document the particle size for this application is also essential. Micronisation predominates in particle size reduction for inhaled formulation. Dry particle size reduction is typically achieved using an air jet mill, and the size of the particles that are generated depends on the rate at which the material is fed in, and the air pressure within the mill. There are different types of mill design, including loop mills and pancake mills, and the optimal operating range and design space varies according to the type and size of mill being used. Therefore, a separate design of experiment (DoE) will be required for each individual milling configuration during validation. Optimal operating ranges and the design space are also impacted by the critical material attributes of the raw materials. There may, for instance, be a large degree of variability in particle size distribution before milling, and this can alter the optimal operating range required to give the correct milled powder. Formulation variables, including the mixing speed and blending time, will need to be considered, as these can also affect the particle size distribution of the final powder. Consistency and accuracy are important if the drug product is going to aerosolise correctly and give the required metered dose. When evaluating formulation parameters, it’s often appropriate to conduct the assessment on a smaller scale using partial factorial designs. For parameters such as the nature of lactose excipients or the percentage of fines, this allows the formulation design space to be explored. Here, optimisation will facilitate cost controls, which can be particularly important when API supply is limited. If a solution-based formulation in a pressurised metered dose inhaler is being used, droplet size distribution can be predicted via mathematical models. These combine the effects of non-volatile component concentration, actuator dimensions and metering volume on droplet size. Models such as these are important when determining the weighting of factors for the risk assessment phase. The ability to control and improve the dissolution rates of small molecule APIs is important when designing safe and effective oral dosage forms. In many cases, careful engineering of the particle size can give better bioavailability and, consequently, improved efficacy. Whether the target product is an inhaled medication or an oral dosage form, substantial improvements can often be made via the application of statistical and experimental design techniques. 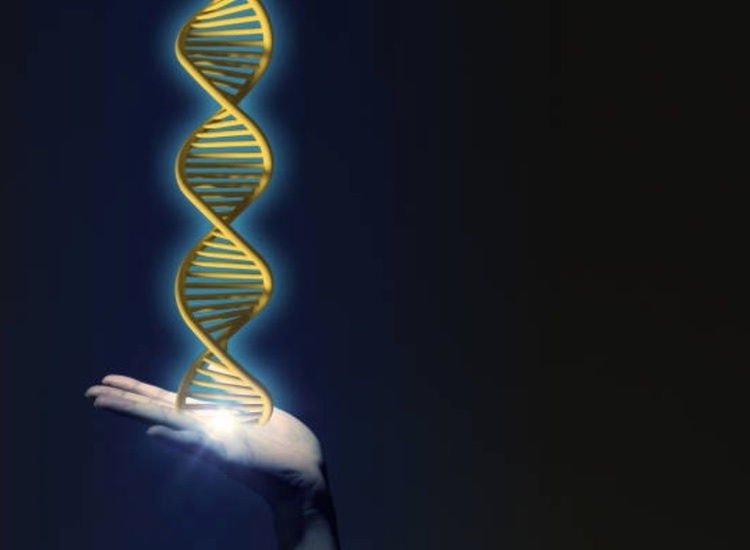 Micronisation — and nanosizing — can even be used to create market differentiation in a crowded therapeutic area, and enable products that meet the specific medical needs of individual patients to be introduced.